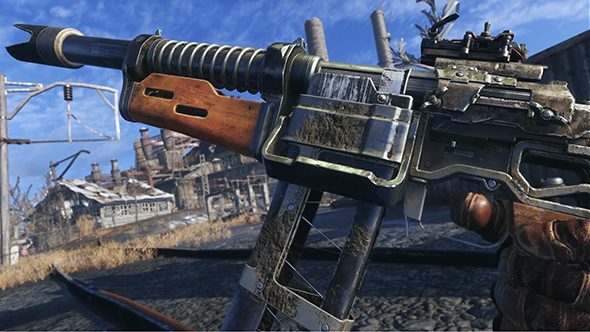 Metro Exodus overhauls the series’ guns with an in-depth crafting, cleaning, and customisation system. Weapons will degrade over time, with performance breaking down as your guns get dirty. Lest you start getting too many grim flashbacks of Far Cry 2, the new weapon system will also allow you to customise your armaments. Every weapon is now modular, with five hardpoints on every gun allowing you to swap bits out for whatever you’d like. Some of those options include barrels and compensators or specialised stocks, each of which will have its own effect across five stats – damage, accuracy, stability, rate of fire, and magazine. Check out the best FPS games on PC. You can customise your weapons using your backpack, or at workbenches, which will also be the location where you can clean your guns and craft ammo or grenades. You can make use of the system to upgrade your armour and wristwatch, as well, opening up even more upgrade options. This all comes via a new gameplay demonstration from the developer. You can check out that demo for yourself right here – weapon customidation starts at 6:15. The Metro Exodus release date is currently scheduled for February 22, and we got the chance for some hands-on gameplay at E3. So far, Exodus is shaping up to be an even more polished take on the series that still hangs on to the excellent slow pace and oppressive atmosphere of the originals.